I’ve listened to this album for a couple months trying to sort out how I feel about it. 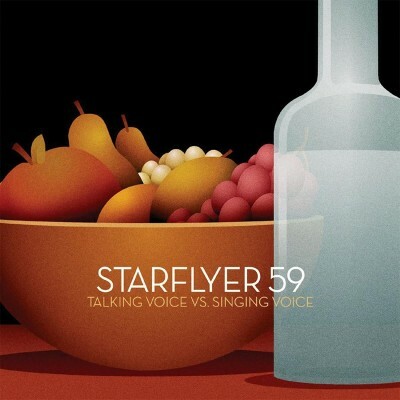 I’ve come up with this: Starflyer 59 make sugar-coma pop music. It’s epic in a small box theater, but not exactly made for big booming stadiums. It is somewhat sappy. Sure it might have a touch of shoegaze tossed in, but really at times it sounds like New Order underwater at half speed (“Good Sons”). Everything seems to slow down, slide out of focus and suddenly you have no idea what you’re looking at, or what you’re listening to. This review originally appeared in Glitter Gutter Trash, June 2005, Issue 198.